Tech-savvy professionals carry smartphones in their pockets, smartbooks in their briefcases, and expect seamless convergence of visual and verbal communications, telephony and PC and custom applications—“apps”—all on one device. Why not empower your office PC to be smart in the same way? 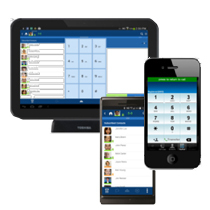 With Call Manager on your business communication system, your Windows laptop or desktop PC becomes a powerful tool for managing telephone calls, voice mail, Web, email and more all from a single screen, using your mouse, without ever picking up the telephone. Speed dial a frequently called internal extension or external phone number. Initiate a System PBX Command such as Conference, Dial, HangUp Hold, etc. View or manage the status of ACD calls and agents, log on or off an ACD queue, perform supervisor functions and more. Launch a Web page, such as an intranet page with HTML forms for order taking or technical support. Run a program, either a commercial application (such as Microsoft® Outlook® or Excel®) or any other executable file or command. To define or change any button, simply right-click over the button and fill in the blanks in a pop-up dialog box. To simplify this process, you can import information from Outlook, copy a button definition to a new button, or drag-and-drop to swap buttons. Look up and dial Strata CIX extensions with the click of the mouse (the system-generated directory is always up-to-date). Sort by name or number. Drag and drop to organize contacts into logical groups. 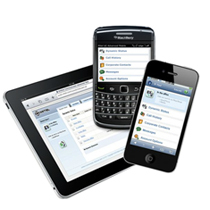 See the status of any user’s phone, and right-click to call, chat or broadcast an instant message. An integrated Web browser provides access to Internet or Intranet pages or local HTML files. For example, calls coming into the call center could automatically open a custom Web application with information about the caller, an agent script, online caller survey and HTML form to enter the caller’s responses. Review an auto-generated log of calls dialed, received and missed on the local telephone extension. 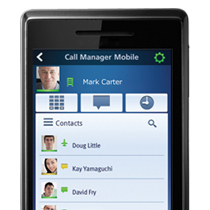 You can search for specific calls by date, telephone number, name or account code. Sort by column name or create a group. Double-click any entry to automatically dial the number. Print or export the history to a file for analysis or reference. 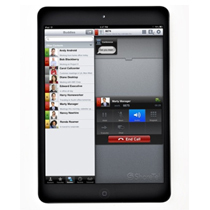 Confer with colleagues using real-time, back-and-forth text chat. 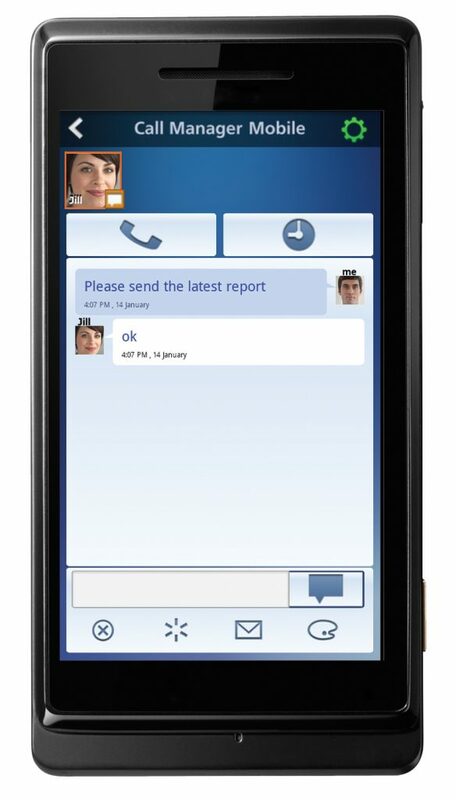 Interact with one user or broadcast a text message to an individual or group. Enrich the communication with whiteboarding. Reduce keystrokes by using canned messages for repetitive text, such as greetings and signature lines. This feature is a boon for customer service agents, telemarketers and case management workers—anyone who manages a high volume of outgoing calls. Simply drag and drop contacts from Outlook or another contact management system; Call Manager automatically dials the calls at the designated time. You get a pop-up reminder of the call, and later a follow-up screen where you can record the outcome of the call and future action.